Do you need a permit for the dumpster you’re renting? The answer depends on where you plan to place your container. A residential driveway, which is the most common location, usually doesn’t require a permit. But what happens when your driveway isn’t an option? If you plan to place your dumpster in a public area, you will most likely need a permit. Keep in mind that dumpster permit regulations vary from city to city. Some communities require a permit if the dumpster will be visible to passersby, while others only enforce permits if the container will be on public property. To help keep your project on track, we gathered some basic information about dumpster permits in case you need one for your rental. Can You Put a Dumpster in the Street? The answer is yes - in most cases. For many construction or renovation projects, placing a dumpster in a residential driveway isn’t an option. A permit allows you to place your container on the street or in another public space. 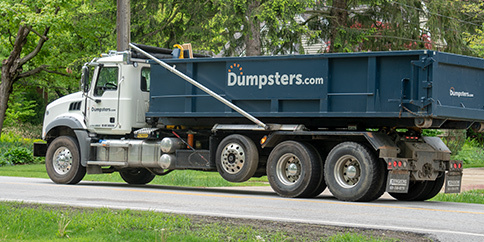 If you’re unsure whether you need a dumpster permit for your preferred placement, give us a call and we’ll help you figure out what you need before you place your order. Shopping plaza, marketplace or mall. Park, public green or pier. Behind a dwelling that you own. 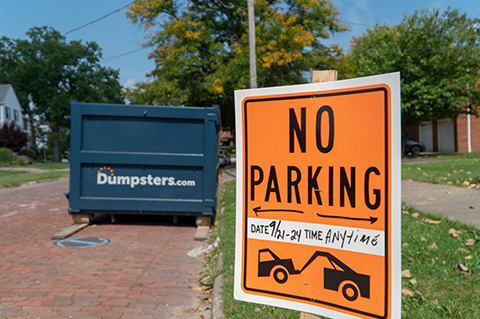 Keep in Mind: Our drivers cannot place a dumpster in a location that will block driveways or other access points. Need help with delivery arrangements? Call our team. If you need to pull the permit yourself, here are the steps you’ll need to take before your dumpster is delivered. Search your city’s website for a dumpster permit request form. Call the appropriate city department to ask about the permit process if you can’t find the form online. Wait for it to be processed. Most are approved within 24 hours, but it can take up to two weeks in some cities. Before you call, gather the details of your project. 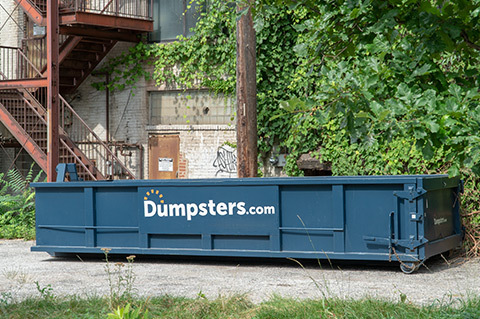 Also, keep your dumpster’s dimensions in mind to ensure it won’t obstruct any property in your desired placement area. Having this information ready to go will make it easy to get your dumpster permit. The fee often falls between $10 and $100 per week, but can be more depending on your area. The cost of a dumpster permit varies by city and the amount of time the container will be in your desired location. Most cities require the permit to be visible, so make sure to place your permit on the container or in a window of the property. Keep these other general tips in mind to snag your permit and place your dumpster confidently. Your city may require you to pay a fee for your dumpster permit. If another permit has already been issued for the same location, your request may be denied. Containers in the street must be parked against the curb to allow traffic to pass. You cannot block driveways, stop signs or fire hydrants. Dumpsters must be placed at least 20 feet away from street corners. Place reflective tape and/or cones around the dumpster to make it visible to traffic. Contact your HOA – if applicable – to find out if there are any local restrictions. Some cities prohibit dumpsters from being placed in alleyways. Ready to Schedule Your Dumpster Delivery? If you need your dumpster placed in a street or another public space, our team is happy to help. In certain areas, we can even pull the permit for you! Once you have your permit, just give us a call to schedule delivery. Our team will have the dumpster you need delivered to your home, business or work site as soon as possible. Still Have Permit Questions? Talk to Our Team Today.